Looks like a great breakfast to me...I've been doing a slice of bread with some peanut butter lately...so boring! would love blackberry and mango together! yummy! I think this post marks the first time I've actually looked at pictures of clafoutis & thought..."I want to make that some time". They look delicious...comforting. For breakfast I eat oatmeal often...the real kind, with cinnamon & dried cherries from Trader Joe's. Simple, but yummy. I can't stand the instant kind. Oh, and scones. Yum! It was really yummy... but I had to sprinkle over icing sugar for children, for me it was ok without extra sugar... adding sweet mango would be really great idea. Alright.I confess. 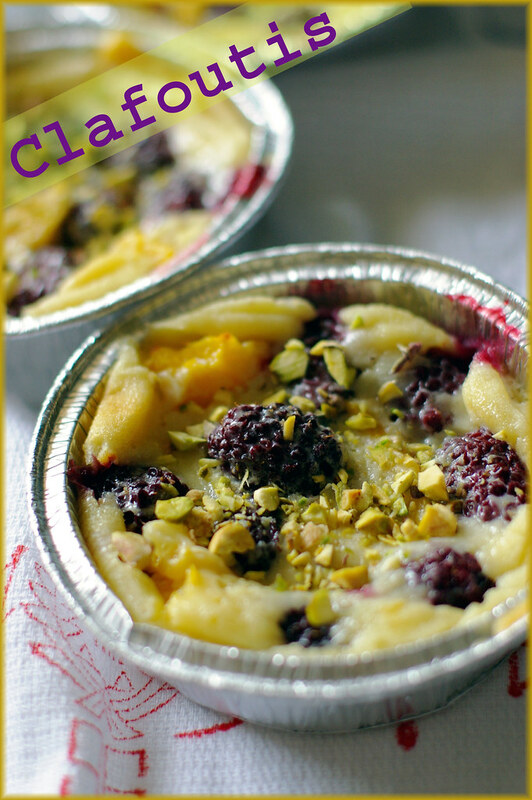 I do not mind having one of these clafoutis for breakfast dessert after.. maybe... Nasi Lemak. I'm **really** into breakfast (and this looks like it could be a fab addition!). I switch it up a lot. I like hot cereal in the winter (oatmeal, cream of wheat, oat bran), and other times of year I have cereal or granola with *yogurt* and honey instead of milk. The past few days I've eaten slices of homemade whole wheat bread with this goat cheese/honey/lemon spread I bought at Whole Foods... Oh, and whole grain toaster waffles with peanut butter or honey for a treat! I have never seen mangoes and blackberries together - what a beautiful combo! 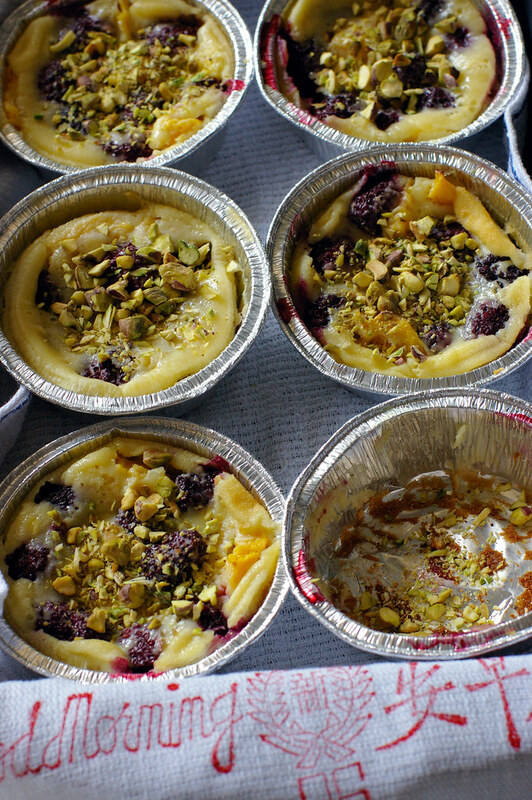 i don't eat breakfast either...although i would if you came to my house and brought me one of these clafoutis. That is one gorgeous clafoutis!! Looks like the perfect breakfast to me! oh i agree! this can be eaten for breakfast with yogurt! yum! I wasn't one for breakfast for a long time either; however clafoutis, new takes on porridge/oatmeal, 'oeufs en cocotte', serving my yoghurt and homemade muesli/granola in *special* sundae glasses has changed all that, I LOVE breakfast now. Taking the effort to make it a special meal in whatever way suits you, remember we all eat with our eyes and our soul first, hehe... so yes anyway - I totally understand why cold milk and bought cereal isn't attractive at all!! 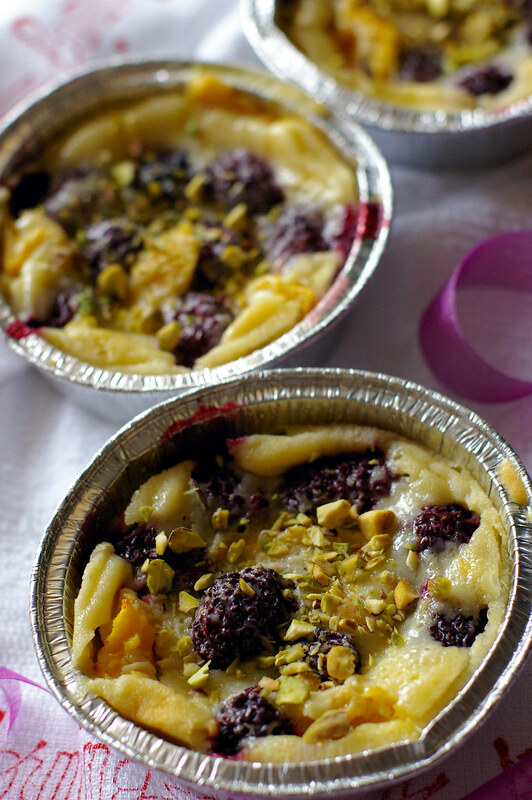 Gorgeous gorgeous Blackberry and Mango clafoutis! that looks beautiful, and mangoes take it to another level:) I'll be making these soon! Oh girl- I SO know where you are coming from. I am a recovering breakfast shunner. I am proud to say I have been eating breakfast every morning for almost 6 months now. What worked for me was broadening my horizons. I also dislike milk and fruit on an empty stomach gives me a tummy ache. I now eat nuts and cheese for breakfast (with a latte, of course). It's small and simple and I can eat it on the go. They look like the perfect breakfast to me. Absolutely delicious! I'm not a breakfast eater either, more or less for the same reasons you've named, so maybe I could try your delicious clafoutis, which I could then have with my tea again and for dessert again later and for a snack at five and...and.. This looks too delicious to resist!! I definitely must try this since butter is back in stores. =D Good idea on mango & blueberry team, drool... Thank you for sharing this wholesome recipe!! Ah... & the towel... so nostalgic. My mom always specially prepare the 祝君早安 printed one for dad. I think it's her way of affection. Clafoutis for breakfast? What a grand idea!! I have to eat first thing in the AM or I'm grabbing cookies by 10am! mixture of rolled oats, sugar, cinnamon, coconut, and almonds then broil them for a few minutes. I've started having clafouti for breakfast. I think it is a perfect breakfst dish.Love the combination. Hey hey, you got your Read More. To make it like mine exactly, you can ask Nate of Chezannie.blogspot.com. They have a guide up which is great. ah ha, sounds like me. I am good at skipping breakfast too, I don't know why. 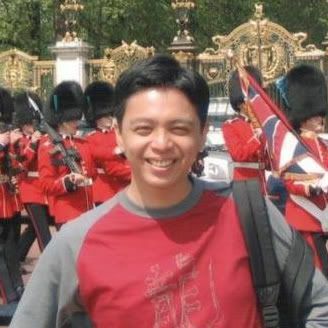 Often my hubby tell me it is not good skipping bf which it is become my normal life. anyway, blackberies and mango are good together. Love them both!! thanks everyone for your breakfast ideas and lovely comments! I need to make an effort to eat breakfast! How gorgeous and what a genius combination. I would eat this any time. I hear ya on breakfast...I feel so great though when manage to get it. Clafoutis rocks for breakfast and yours would make me jump out of bed!! Mandy, I made my firt clafoutis yesterday! With mango and mixed berries, drawing my inspiration from your recipe! I used a slightly different batter from another food blog, but the idea of combining mango with berries comes from you blog! Thank you for sharing and being such an inspiration!